It’s possible that Simon & Schuster didn’t really understand what a headache it was getting itself into when it decided to publish a book from real-world trollface meme Milo Yiannopoulos, a decision that’s forced the publisher to deal with author boycotts, public disgrace, and, now, an ongoing lawsuit from Yiannopoulos himself, who ended up self-publishing Dangerous after the company refused to. Still, Simon & Schuster’s (self-inflicted) injuries have turned out to be our gain this week, as said lawsuit has caused a truly delightful document to eventually be unearthed. Not Yiannopoulos’ rambling diatribes against ugly people or his would-be attempts to paint himself as a modern-day Patrick Bateman, mind you; rather, it’s the editor’s notes tearing the whole thing apart. 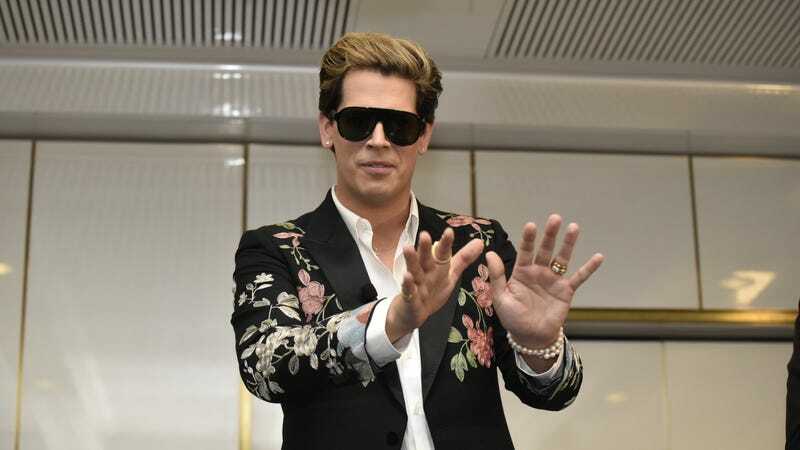 The edited draft of the book has now been entered in as Exhibit B in the publisher’s argument as to why it ultimately refused to publish Yiannopoulos’ tome, and, as people have quickly discovered, it’s full of increasingly frustrated notes from editor Mitchell Ivers, the man tasked with turning the former Breitbart editor’s ramblings into a coherent book. It’s not like Ivers—whose notes, quoted in the lawsuit, include lines like, “unclear, unfunny, delete” and “This section feels phenomenally petty”—isn’t ideologically sympathetic to his subject, either; this is a guy who heads up the Simon & Schuster team that’s previously edited books by Rush Limbaugh, Glenn Beck, and even Donald Trump. But even so, Yiannopoulos was apparently a bridge too far.